may 8th 1761. AEts. 86 years. 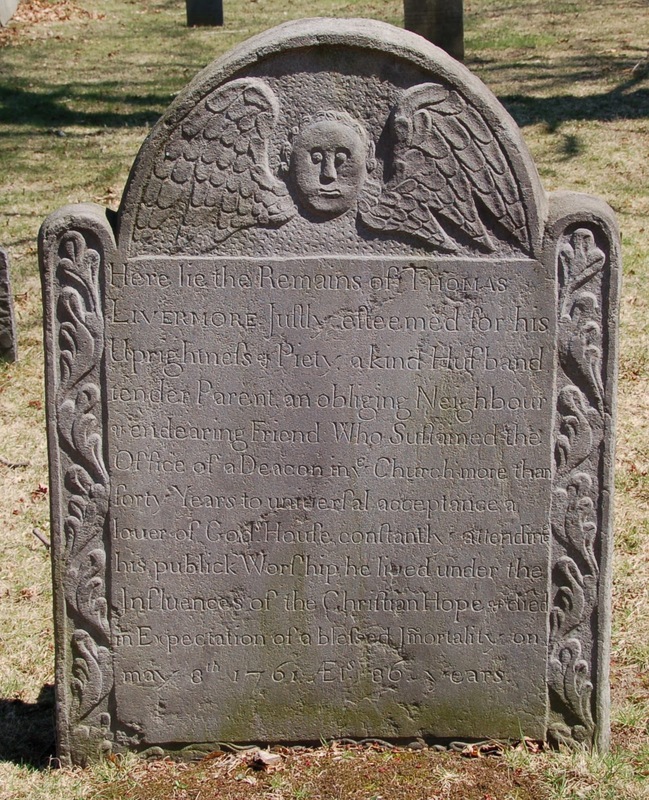 I don't know whether I've ever seen that abbreviation for a double m on a Massachusetts gravestone before. It doesn't seem like it would save time for the carver and he didn't use it on any other consonants. That's quite interesting. The circumflex over the m is a common scribal abbreviation of the kind found in medieval and early-modern manuscripts. Although that line is indeed a bit cramped, I'd say here it's more like an intentional stylistic archaism, similar to the v-shaped cross bar you sometimes see on capital A's. The carver is orthographically quite sophisticated, with fine ligatures and small caps, so he certainly would have been aware of what he was doing.